In a performance worthy of the excruciatingly slow decision-making process of former Mayor Mufi Hannemann, Gov. Linda Lingle is toying with a run for the U.S. Senate in 2012. Star-Advertiser. The two top candidates for urban Honolulu's congressional seat argued about spending for social security benefits in their last live, televised debate before the election Thursday night. KITV4. An independent expenditure committee called Working Families For Hawaii has launched a TV ad portraying GOP congressional candidate Charles Djou as a lock-step Republican who votes to hurt Hawaii. KITV4. The two candidates for Hawaii's 1st Congressional District have sparred over the economy, government spending and senior citizen programs such as Social Security and Medicare. Associated Press. A federal court’s decision to stop the Hawaii Campaign Spending Commission from enforcing a limit on contributions received by political committees doing only independent spending for political speech will remain in effect for now, according to the federal appeals court. Hawaii Reporter. Non-partisan ‘Use Your Voice, Use Your Vote’ rally at UH Manoa raises voter awareness. Hawaii Independent. More Hawaii working families getting government food aid. Associated Press. Hawaii didn't fare too well in a new national survey of policies covering how mothers and expectant mothers are treated in prison. Associated Press. Stimulus supporting state energy storage. Maui News. Molokai General Hospital (MGH) has recently completed installation of the largest solar electricity generation system on the island. Molokai Dispatch. Aunty Puanani Lindsey shares a pule/oli (prayer/chant) for the Earth with those joining her on weekly volunteer service trips to malama (care for) Honokowai Valley or Hanaula. Lahaina News. Next year's Asia-Pacific Economic Cooperation summit in Honolulu is expected to generate some $120 million in economic impact for Hawaii. Associated Press. Teen traffic deaths have declined dramatically over the past six years. KHON2. New Honolulu Prosecutor Keith Kaneshiro has added three new deputy prosecutors including a former legislator who was convicted of drunken driving and the Honolulu police chief's wife. KITV4. 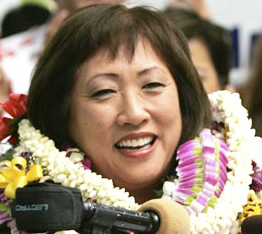 Former lawmaker joining Honolulu prosecutor's office. KHON2. 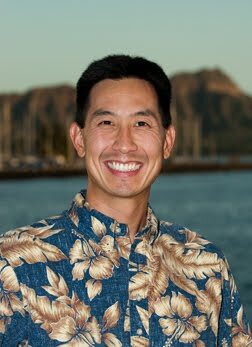 Hawaii Rep. Jon Riki Karamatsu is taking a job in the Honolulu city prosecutor's office after an unsuccessful run for lieutenant governor. Associated Press. The Honolulu office of elections promises to protect the confidentiality of voters who face life threatening circumstances, but Civil Beat has learned that it doesn't live up to its word. Civil Beat. The race to represent Puna makai on the Hawaii County Council is between a colorful, two-term incumbent and a retired businessman. Tribune-Herald. The number of students attending public charter schools statewide continued to grow this year, even though no new campuses opened, while enrollment at regular public schools was largely unchanged. Star-Advertiser. Public school enrollment on the Big Island continued its slow decline this year. Tribune-Herald. Ryan Ozawa may well be the most influential social media maven in Hawaii, although one is hard-pressed to get him to admit it. Hawaii Independent. Pesky problem apparently wiped out in Maui. KHON2. Waikiki hotels ran fuller last week despite a strike at Hilton Hawaiian Village, and occupancy also rose in Maui County, but fell on Kauai and the Big Island. Hawaii News Now. A federal bankruptcy judge in New York has approved a reorganization for General Growth Properties that will split it into two companies. Hawaii News Now. An envisioned high-rise condominium on top of the Nordstrom parking garage at Ala Moana Center will be one project taken over by a major new player in Honolulu's condominium development scene, as part of the bankruptcy reorganization of mall owner General Growth Properties. Star-Advertiser. Bad news for the terrorists, gang lords and street scum running amok in town: CBS Television gave "Hawaii Five-0" yesterday a full 22-episode season to fight crime. Star-Advertiser. The Hawaii County Council accepted a pared-down slate of exemptions for a North Kona affordable housing development, but delayed approving the document until county officials and developers have more time to review and refine the request. West Hawaii Today. The County Council on Wednesday approved an amended Puna Community Development Plan that's now headed to Mayor Billy Kenoi's desk. Tribune-Herald. At Kapa‘a High School, Christine Farina has taken part in an organization to help teach her economics class what business is all about. Garden Island. Maui County Council members voted 6-2 late Tuesday to approve the Kula Ridge project that promises to build 59 affordable homes for senior citizens and single families. Maui News.